Thai house and techno label Neverest Records has just dropped its second release from Bangkok’s next generation producer DOTT. 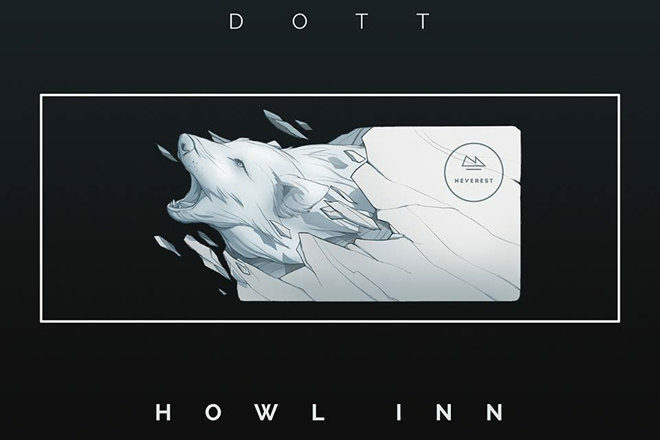 ‘Howl Inn’ is a steely five-track EP with three original works from the artist and two reworks by international acts. The chilling EP is all together worthy of a cinematic applause and we'll start the clapping here. DOTT delves deep into his darker side in all three tracks and the beauty is especially harrowing in ‘High Sign’, which soars through mesmerizing tones and enchanting basslines. ‘Too Far Up’ is a more melodramatic number that hypnotizes while ‘Keys To The Night’ is driven by a more intricate bassline. DOTT linked up with Bangkok bastion of tech house Sunju Hargun (Turbo) for a rework of ‘High Sign’, who infuses the tune with his quintessential deep and trippy melodies. The final track on the EP hands the reigns over to the amazingly talented Francesco Parla and his edit of ‘Too Far Up’ packs some serious dance floor ammunition. The EP is available for purchase here and you can have a listen to snippets below. Expect to hear the entire EP being played in dark rooms around Bangkok and beyond very soon, starting with tomorrow night on home turf. The official release party for 'Howl Inn' takes place tomorrow night at GLOW in Bangkok. The night is called XPEDITION and the gang at Neverest will use the series to showcase Bangkok's new generation of artists who will be the ambassadors of their identity. Check out the details here. Find out everything you need to know about Bangkok's rising star in our interview with DOTT earlier this year here. This is the second release for Neverest Records. 'Helium' was released earlier this year following the launch of the imprint in June.